The National Center for Education projected a 9% rise in student enrollment for student younger than 25, and a 23% rise in students over 25 from 2010 to 2019. Many of these will be parents, and more specifically mothers, many of whom wish to work from home. Many moms seek to return to school after a period away. Maybe they want to finish, or maybe they want to pursue a whole new degree. Maybe a degree isn’t the end game, but rather a license or certification. This can be helpful in many ways. It can help you find a job that pays better. It can help you find a job with better hours or more flexibility. Some educational tracks are even better suited for working at home than others, if that is what you want to do. 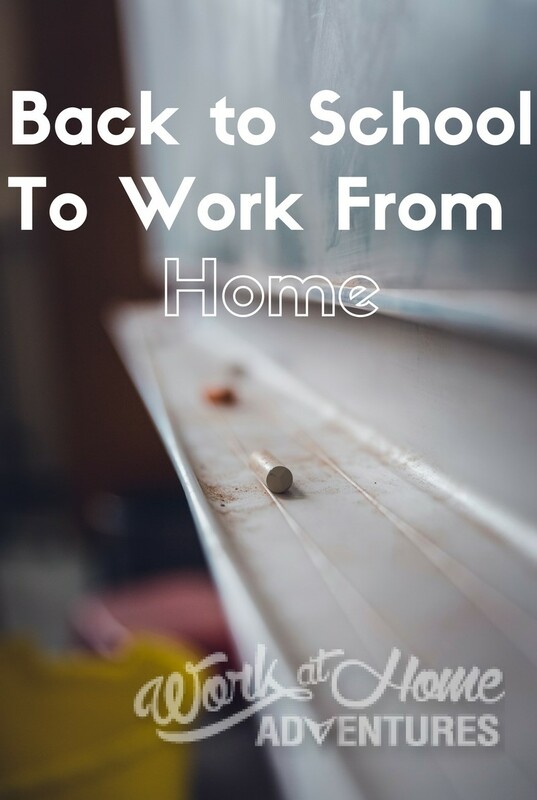 So what do you pursue when going back to school to help make it easier to find a stay at home job? Better yet, how do you even begin to pay for it? Even certification and license programs are expensive. Two and four year degrees can seem completely out of reach without some sort of help. Some jobs are just easier to do from home than others, and some industries have embraced the work-from-home revolution much more readily. Even if you cannot find a company hiring employees to telecommute, many careers are perfectly suited for freelancing or running your own business from home. There are options in this field ranging from a doctorate degree that requires several years to achieve to bookkeeping certification that requires only a few months. Work from home job opportunities range from running your own accounting business to doing books for one or more clients, and even seasonal tax prep work. A working knowledge of QuickBooks and Excel can help you along this path even further. An abundance of sales opportunities abound, whether you work for a company as an employee, run your own business with a direct sales company, or create your own product or service to sale. Social Media marketing is the perfect way to work from home using a marketing degree. If you are good, you make a lot of money freelancing or contracting with small businesses to do their social media. Graphic Design offers an opportunity work from home using a marketing and design background, and you get to be artistic at the same time! Some medical certifications offer opportunities to work out of your home as well. Nurses can work for insurance companies taking calls, or make home visits. Those with medical billing knowledge can bill insurance and Medicaid for doctors from their home. In addition, there are many medical transcribing companies that prefer a medical background. While being a reporter for a newspaper or magazine certainly lends itself to working from home, there are many more opportunities in writing these days. From freelance content writing to blogging, writing is a major work-at-home field. A journalism degree is not necessary at all. There are plenty of opportunities in writing without one. It can help however, and will likely open up many more options. It isn’t all about degrees either. There are ways to gain an education and better your chance at finding a job in all types of careers, including those that may allow you to work from home, right from your computer. In addition, there are often options for local workshops and courses for little cost, if any. Check the local public library and also the Small Business Development Center to see if any of these are available in your area. Grants are a huge resource for going back to school, and the first one to look into is the Federal Pell Grant. It is rewarded based on financial need, the cost of the school, whether you will be attending full time or part time, and how long you plan to attend. The Federal Pell Grant will cover degree programs and some vocational programs. The reason for applying for the Pell Grant first is that is uses the FAFSA system, which will open the door to many other resources once you are in the system. Also consider checking with the single parent program at your school, and the U.S. Department of Education for your state will have a list of resources as well. Find the contact for your state office here. While going back to school is a worthy cause, and there is a lot of help and support available, there will definitely be obstacles. This is true especially for parents returning to the world of higher education. How much of an obstacle these things will become will vary depending on the type of program you are going into, but without fail these things will have to be dealt with across the board. These will be an issue regardless, but some programs are more flexible and therefore easier to manage than others. Things like helping the kids with homework, getting your own homework done, and just finding time to be together will be difficult. Finding child care so you can work isn’t easy in the first place, but if you are trying to work and go to school at the same time there is a whole new level added. You cannot do homework while the kids are in school if you are working, and it will be difficult to work on class work while the kids are around. This will leave late night and early morning hours to get school work done. Paying for school is hard. If you choose not to work, or cannot work while you are in school, the financial burden may begin to take a toll. All of these things piled on top of each other, in the midst of trying to do well in school, will likely become stressful. That can affect school work and cause even more stress. While the obstacles will definitely rear their ugly head, the journey is not impossible to finish. The best way to leap over these is to be prepared before you start. Gather your resources, your support system, and have a plan B for any situation you can imaging. Then, go rock it! That’s absolutely true. The data from the National Center for Education also shows the same, as moms also want to contribute more to their family. And, to begin the work from home jobs are one of the best options for them. Getting certification or training in their desired niche makes this easier for them to start work from home jobs easily. I’ve got some experience working at home, and it’s not as fruitful for you as the work in a company. Less concentration on a job results in worse results. However, one must stay-in-step with the times, I mean, you should know the actual problems of students nowadays if you’re specialized in writing papers or blogs. Of course! The struggles and circumstances involved are unique to the individual.